Hello, I am Kellie Nightlinger with Wild Woman Outdoors. I am a Wilderness Survivalist and pure Adventurist. My mission is to get you outdoors to partake in the beautiful world around you. Too many people in today's society are not getting exercise and are not communing with the natural world. People are living busy and high-stress lives. Take a step back into the natural world. Get in touch with your wild side. Be all that you can be. Push yourself to new heights. If you don't believe in yourself then why should anyone else. If you have questions about the wilds of the world, ask someone who knows. If you are unsure of yourself, hire a guide or get with me and I will teach and inspire you. If you think you can you will...If you think you can't, you're right. TLC, The Learning Channel - Strange Love, "Popeye & The Wild Woman"
Take a look as Kellie takes a city guy on a blind date to her off the grid self-built log cabin on the continental divide in the Rocky Mountains in Montana in the dead of Winter. Watch world class runners take on the element of Death Valley. Survivalist Kellie Nightlinger teaches the athletes how to conquer the elements of Death Valley. Science Channel, "Hacking The Wild"
Deadly Glaciers watch Kellie teach experienced outdoor hacker Andy Quitmewer learn about deadly glacier dangers. 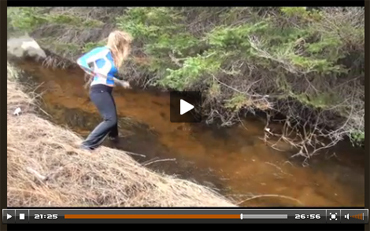 ♦ Watch Kellie in "Hacking The Wild" - Scroll down to "Deadly Glacier"
Survival experts show us how to survive in non civilization areas like forests and deserts. Don't agree with the list? Vote for an existing item you think should be ranked higher or if you are a logged in, add a new item for others to vote on or create your own version of this list. Top Ten Best Survial Experts - VOTE NOW! Pick Your Partner - Who would you like to be with if you were in a survival situation? ♦ Vote for Kellie Nightlinger - click here for information and a full list of Naked and Afraid stars. Naked and Afraid "Terror in Tanzania"
Dropped off in the remote and brutally hot African location of Tanzania, two survivalists take on the "endless plains" of the Serengeti to survive for 21 days. They must overcome the challenges of the tough terrain and the dangerous predator-filled environment as they encounter the circle of life right before their eyes. Between navigating the thorny landscape barefoot, suffering from lack of fire, sleep, food, water, and encountering a frightening threat from a pack of hungry hyenas, EJ Snyder and Kellie Nightlinger embark on what will prove to be a very challenging and gruesome 21 days. ♦ Watch Kellie through VUDU to view Episode 2 Terror in Tanzania, "Making Fire"
I will teach you what I know of the wilds of the world. 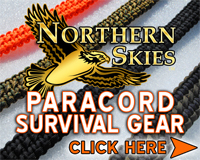 I am a Survivalist and will inspire you to experience wild things. I will show you through example that you can accomplish your wildest dreams! I am a wilderness survivalist, adventurist, gear reviewer, writter, blogger, and inspirational speaker. I have a true adventurist spirit. I love learning about the outdoors and teaching what I know and inspiring others to pursue their wildest dreams. I dont just talk the talk; I walk the walk of the wild. I am happiest in the wildest places of the world. Folow Kellie and her adventures through her blog. 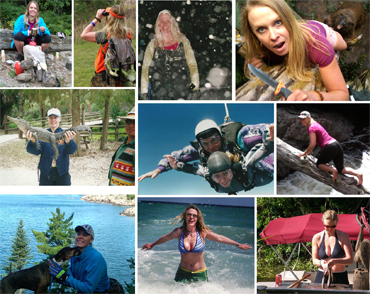 Here you can read stories about her life experiences, adventures, survivalist skills, and gear reviews - just to name a few. 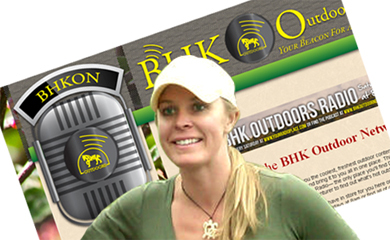 Kellie Nightlinger, Wilderness Survivalist, Adventurist & BushcraftingSpecialist Invites you to listen to her newest Survivalist Interview with BHK Outdoor Network. Kellie met LT and Dan years ago at a Pathfinder Gathering - two of the sweetest guys she knows. Kellie is currently sponsored by Blind Horse Knives. LT and Dan are joined by wilderness survivalist and adverturist Kellie Nightinger— the "wildest woman" we know. Kellie and the guys talk about their love of nature, favorite places to go, and extreme wilderness survival. »Click here for Wild Woman interview. 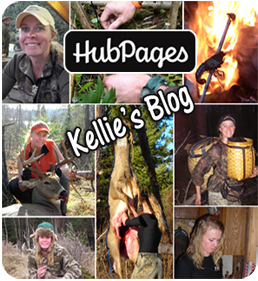 Kellie Nightlinger, Wilderness Survivalist, Wildlife Adventurist & Bushcrafting invites you to view her online videos and her YouTube Channel. Learn, have fun, share them with your friends and..."Get Oudoors and Go Buck Wild!" Shown here: Kellie brings you to the Tahquamenon Forest in Michigan's Upper Peninsula. She will show you two types of shelters: primitive and temporary. This is situated right along the Tahquamenon River. John "The Hoss" Perry interviews Kellie Nightlinger of www.wildwomanoutdoors.com about her many adventures past, present and upcoming. Kellie is an adventurist, survivalist and philanthropist. She talks to John about her hunting, fishing, caving, Angels Among Us Youth Camp for children who have been trough traumatic events, abuse, foster care, etc... Kellie details her upcoming 5,000 mile trip to the Amazon jungle among many other great adventures. Join Kellie and her "Angels Among Us Youth Camp" on their journey to numerous Michigan Upper Peninsula rivers for spearing, netting and shooting suckers with a long bow. Please note that show will begin with two other short stories and Kellie's portion will be aproximately half-way through the show. Kellie Nightlinger started Angels Among Us Youth Camp in 2006 for campers that have lost a parent, have been or are in foster care, have been abused, don't know a parent, or have disabilities. Believe it or not, it is exciting and fun to camp in the winter with a Kifaru tent . This collapsible quick set-up is small and works well to keep you warm and dry in the great outdoors during any season. The small stove is centered inside of the tent and provides warth, a place to cook or to boil water. Don't let the winter blues get you down. Along with a myriad of other winter activities, try winter camping - Get Out Doors and Go Wild! >Click here for more Wild Woman Videos! I am a '70s child born in Midland, Michigan. I grew up in the only county in Michigan with no natural lakes. There are two man-made lakes. I spent a lot of time as a youngster swimming there. But, I longed for something more wild. My family has several hundred acres of wooded land. As a child I ran every inch of it barefoot and explored every game trail. I am a true-tomboy at heart. I longed for wilderness. I had a wild spirit but very little opportunity to develop it as a child; for lack of wild mentors. Click button to learn more about Kellie.